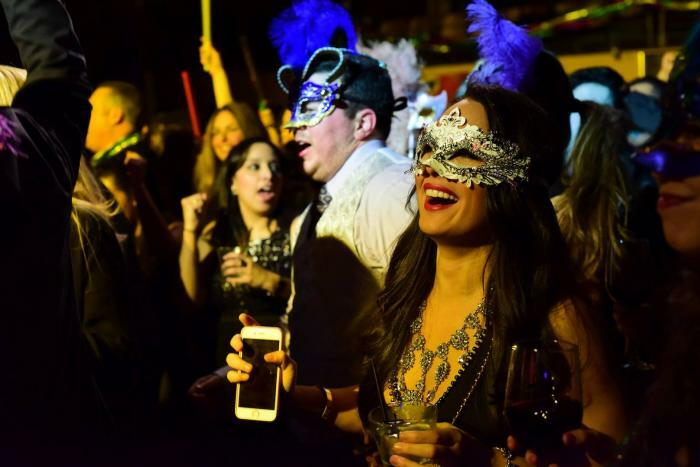 OCarnivale Mardi Gras Ball is Saturday, February 10th! Bands! Dinner! Dancing! Beads! Costumes! Live music by Club Wood, The Rosemont Kings and the Kickin’ Brass Band! A Cajun & Creole Buffet Dinner is included in your ticket! Etoufee, red beans and rice, crab cakes, hushpuppies, coconut shrimp, shrimp cocktail, cajun wings, and dirty rice from Sunset Crab Shack are sure to please! King Cake provided by Oak Cliff’s very own, Vera’s Bakery! Party starts at 7pm and ends around midnight. Dinner is served at 7pm. Proceeds from the Ball help fund the Mardi Gras Oak Cliff Parade on Sunday, February 11th! Sorry, no one under 21 is allowed.